Meegan joined the NSP in July 2017 as the organization’s first female executive director. She has a nonprofit background and has worked extensively on leadership development and community engagement in state-wide, national, and international platforms. As a lifelong skier and lover of winter, Meegan brings her enthusiasm for innovation, collaboration, and sustainability to the NSP. Email Meegan. Leslie joined the NSP in November 2017. She is in charge of managing communications with the NSP board of directors and the national committees, working with each department on various projects as the seasons change, and ensuring that the office runs smoothly. Email Leslie. Bill Finley has been with the NSP as finance director since February 2016. He is truly a jack-of-all-trades, as he prepares budgets, negotiates contracts and leases, acts as business analyst for the many IT systems NSP uses, and works with NSP members and board members on various issues. He keeps the whole finance/accounting operation running smoothly. Email Bill. Juliann joined the NSP staff in March 2017, bringing with her a wealth of nonprofit experience. She is in charge of month-end close and all the tasks that accompany the closing of the books. She also ensures all regulatory reports are filed accurately and on time. She assists the finance director with payroll and benefits and assists the staff accountant with day-to-day transactions. Email Juliann. 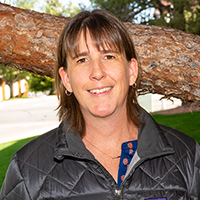 Cheri has been with the NSP since 2007 and since that time has accumulated much knowledge of the history, evolution, and inner workings of the organization. Cheri works primarily with alumni and lifetime members and is the staff point of contact for any questions about awards. The fabulous-looking awards the NSP members receive are made possible by Cheri's hard work. Email Cheri. Stephanie joined the NSP staff in April 2017. She ensures that vendors are paid timely and that receivables are recorded and collected timely. She is in charge of making sure donors are thanked promptly for any contributions NSP receives, and she is the staff liaison to the Fundraising Committee. She also assists the finance director and senior accountant with a multitude of accounting tasks. Email Stephanie. Charles joined the NSP in August 2017 after extensive experience in other areas of the ski industry. He answers questions, processes member payments, and updates member statuses. He assists patrol reps with roster formation and coordinates invoicing to patrols that pay all or a portion of dues for their members. He is the roster update and billing expert. Email Charles. Jeffrey joined the NSP staff in March 2019. He will be doing accounting for the online store, working with the sales and partnerships team. Jeffrey enjoys hiking and spending time outdoors. Email Jeffrey. Sheila joined the staff in spring 2015 as education director, supporting the curriculum-based education programs in achieving the NSP strategic objectives. She recently added supervision of member services to her role, focusing on the general system and education-related service to members. Email Sheila. Carrie joined the NSP in August 2017. Her responsibilities include general member service regarding website access and profile information, catalog information support, and OEC exam distribution. Email Carrie. Kate joined the NSP as a part-time temporary employee in 2015 and has assisted periodically since that time with education records data entry. She returned in 2018 and will work on a seasonal basis. Andre joined the NSP fresh out of college in 2016, and is in charge of graphic design, video, and all social media. Email Andre. Steven joined the NSP in May 2018 and coordinates NSP meetings and events and works on marketing efforts. Email Steven. Geoff joined the NSP in August 2017 and coordinates NSP national partner relationships. Email Geoff. Rob has been with the NSP since 2009, and is in charge of shipping orders from the NSP Online Store. Email Rob.